Looking to get featured on more podcasts? Podcasts can be a great way to showcase your expertise and even generate leads and conversions for your business. Podcasts serve a huge market right now. According to an article in Forbes, “The reach of a single podcast and be larger than a TV audience.” If you’re looking to promote your business, getting booked for interviews is pretty much a no-brainer. One idea that may have crossed your mind is hiring a podcast guest booker to help you secure more bookings. While you can certainly DIY when it comes to getting booked, there are numerous benefits that come with hiring someone to do it for you. Time is money and you’ll save a ton of time and energy by outsourcing this task. However, that’s not the only major benefit you’ll receive. 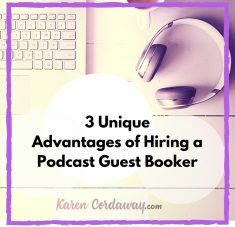 These 3 unique benefit will prompt you to consider working with a podcast guest booker for better results. If you’ve been pitching yourself to podcasts have you been implementing a specific strategy? Odds are, you may not have even thought about this. Trying to get on any and every podcast to share details about your business is not a winning strategy that’s going to get you results. It’s important to understand how podcasts work and use them as a marketing tool. You want to appear on podcasts with a specific audience to cover a specific topic. 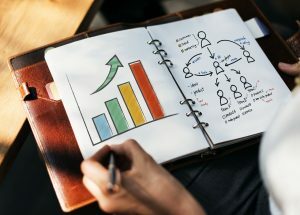 You don’t want to come off salesy either and need to position yourself as an expert but also as someone who has a unique story and tons of value to provide. A podcast guest booker can help you come up with a strategy to use podcasts to help you grow your business, meet your other goals and avoid making mistakes. If you don’t have time to strategize and take action in this area, you’ll want to hire a podcast guest booker. Most people don’t like pitching, and with good reason. Pitching can be awkward, especially when you don’t know the person well. Timing is also just as important as the offer and there’s always a risk that your pitch will go unanswered. To save yourself the time and hassle pitching can create, hire a podcast guest booker to develop a done-for-you pitch and take care of all the follow ups and communication with podcast hosts. 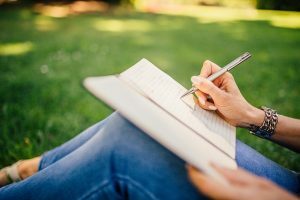 Podcast guest bookers come off as professional and they know how to approach podcasters and what to say to get them to respond. Many of them also have a network and are able to reach leads you may not be able to get to. Let’s be blunt. You’re not trying to appear on podcasts for fun. You want to book interviews that convert. Again, this goes back to having a strategy. A podcast guest booker can help you position yourself to get results and conversions when you appear on podcasts. They have the experience to know what works and what doesn’t. 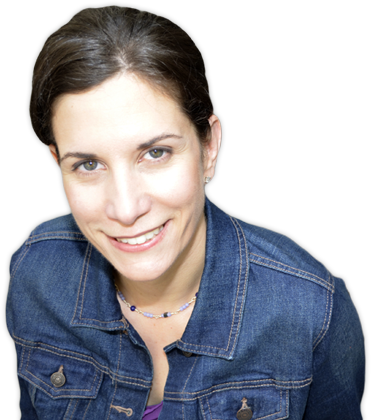 They handle all the research and can build rapport with podcasters to make sure the experience is a win-win situation for everyone. 4. Are You Serious or Not? When it comes down to it, you have to decide how serious you are about booking podcast interviews. Do you just want to appear on one random podcast every blue moon? Or, do you want to consistently appear on popular podcasts and get results that drive your business forward? If you’re set out to do the latter, I’d highly recommend working with a podcast guest booker.